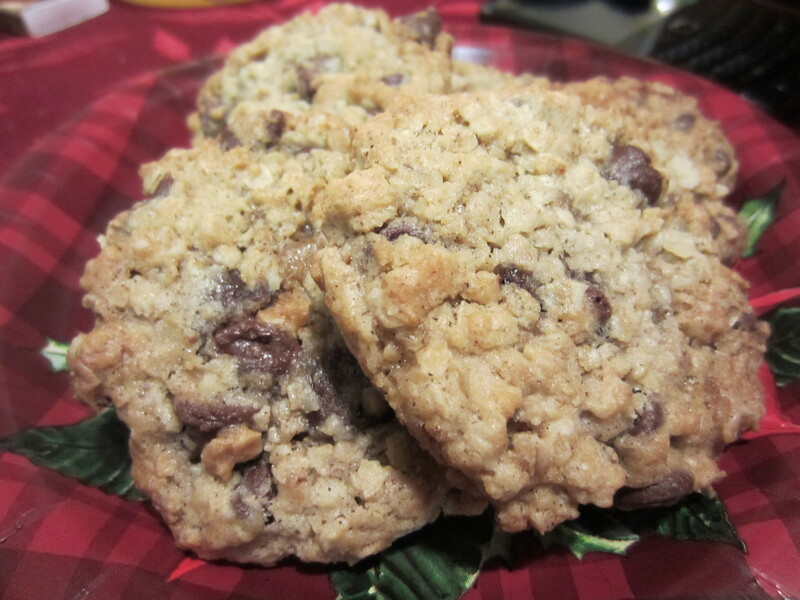 These are hands down the best cookies i’ve ever made! They were soooooo good! 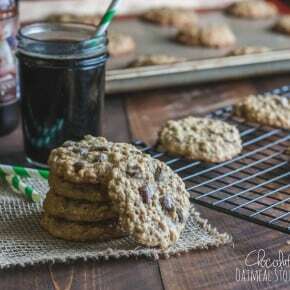 My fiance said they were his favorite cookie and that he definitely wanted them again, and that even the dreadful ‘raisin’ would be ok in this recipe. Heat oven to 375. Soften butter in microwave for 30 sec-1 min, add all the ingredients except the last 3 and beat with an electric mixer. Add in oats and flour and stir with wooden spoon. Add in chocolate chips and stir. 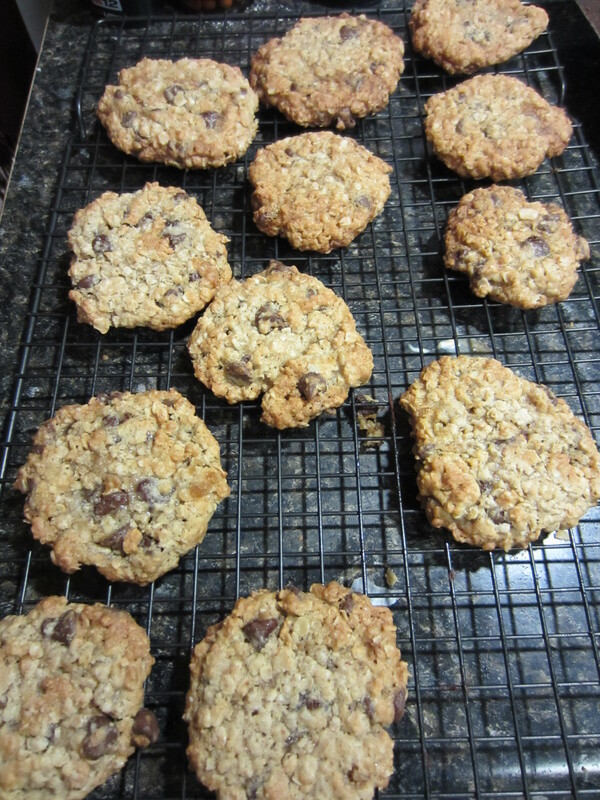 On a parchment lined baking sheet put cookies down (i got about 12 per sheet-3 sheets worth and formed the cookies my rolling balls and then flattening them). 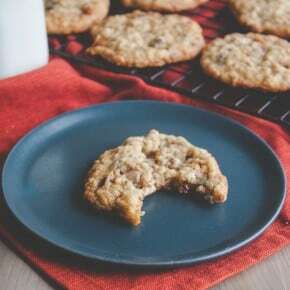 Bake for about 8-10 min, until tops of cookies are slightly brown. 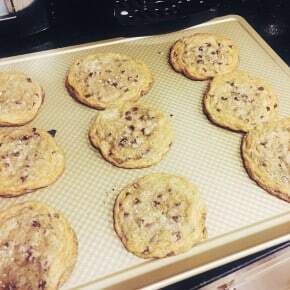 Remove from oven and cool on cookie rack.